Lounging on the beach with a book in one hand and a tropical cocktail in the other, watching the foamy waves crash onto the white sand. Can't jump on an airplane right at this moment to get there? No worries - Pina Colada flavored lip balm is summer in a tube! Our vegan lip balm glides on smooth and has great staying power. We've taken some of my lip balm to the Austin City Limits festival. It didn’t melt after being out in the hot Texas sun all weekend, so it should hold up well in your pocket too. Enjoy! 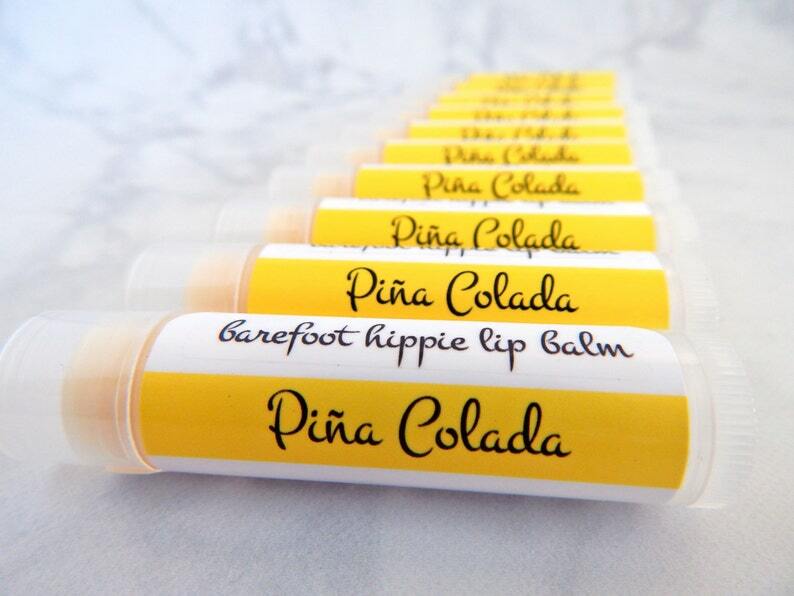 The purchase of this listing is for one .15 ounce tube of our Pina Colada Lip Balm.